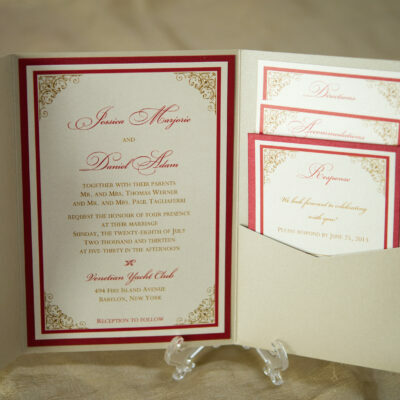 5 x 7 Signature Style pocket suite features horizontal (book fold) orientation. 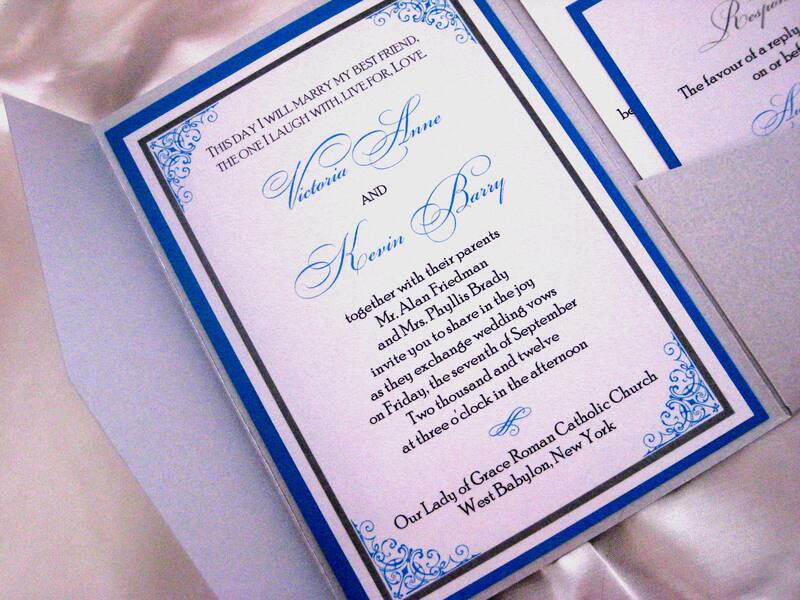 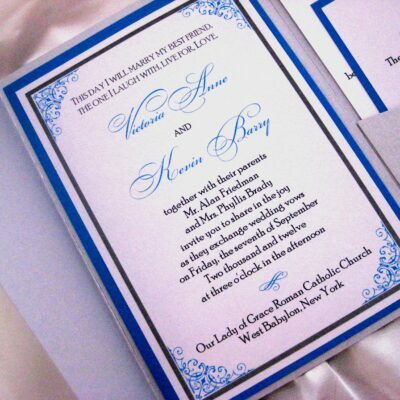 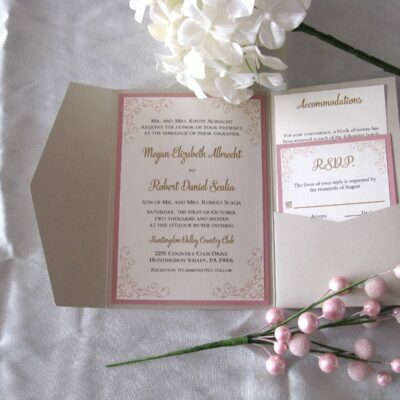 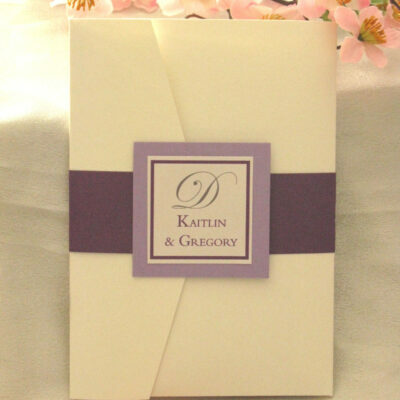 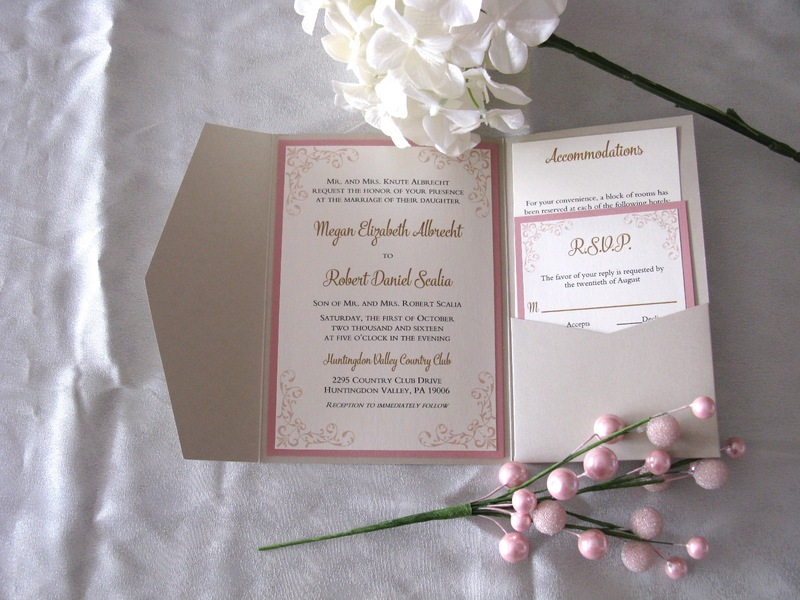 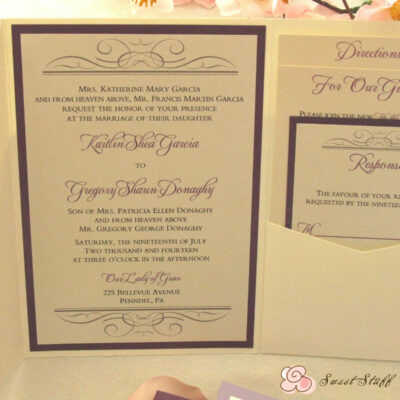 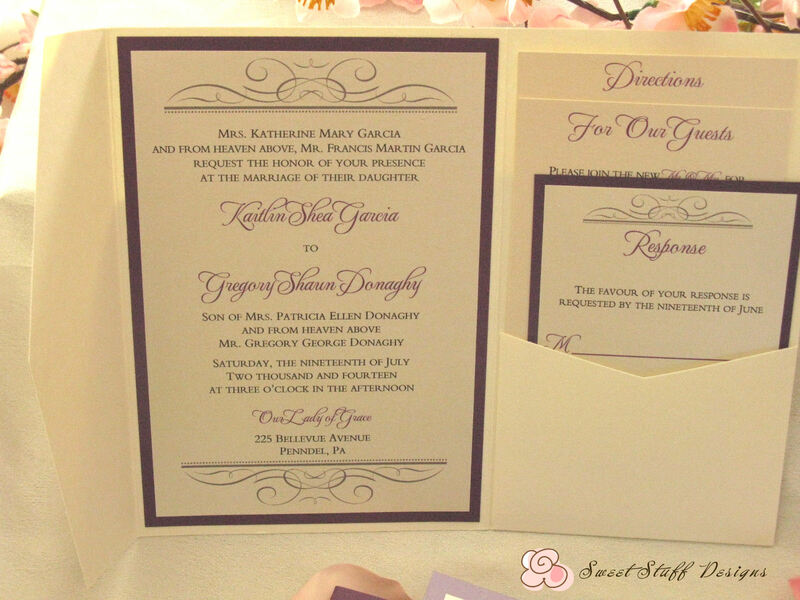 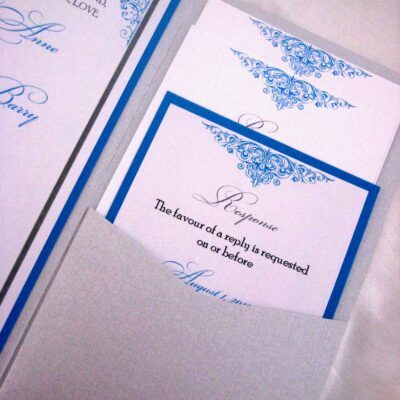 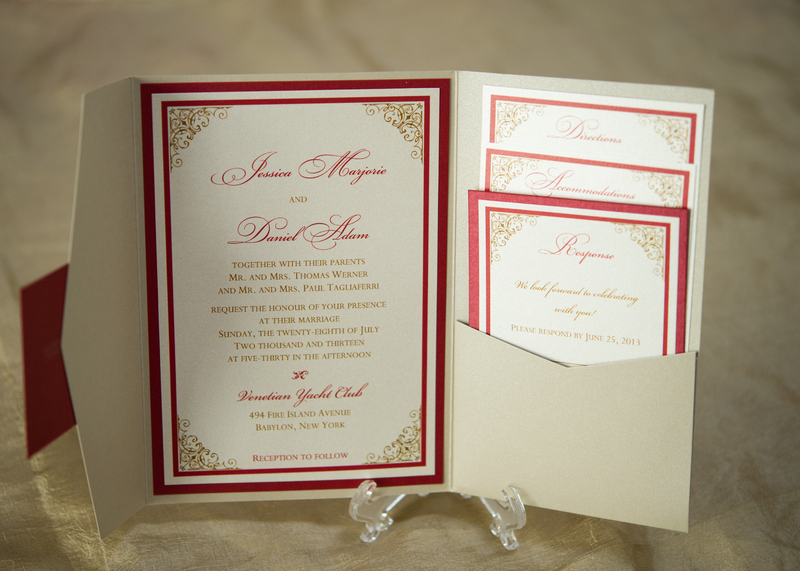 Suite includes pocket with interior border layer, printed top layer, two inserts and matching two layered reply card. 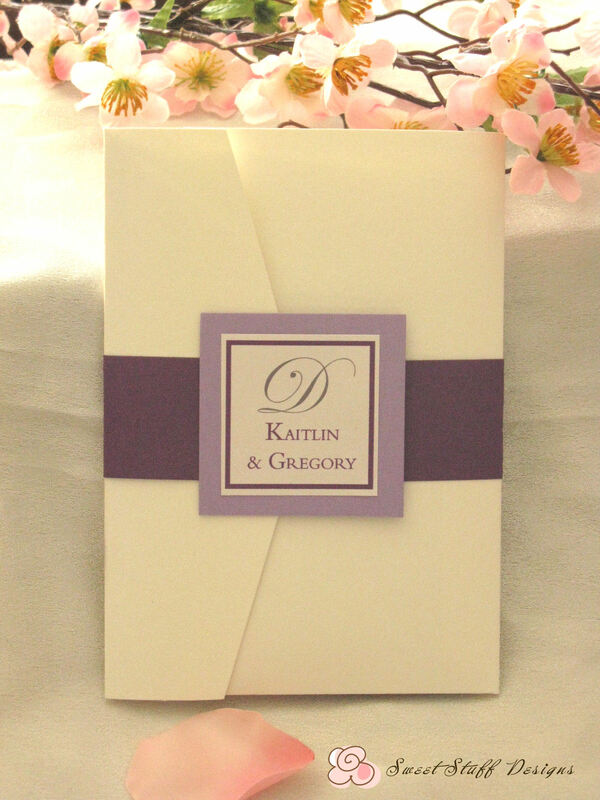 Also includes the two layered tag and band combo to close the pocket. 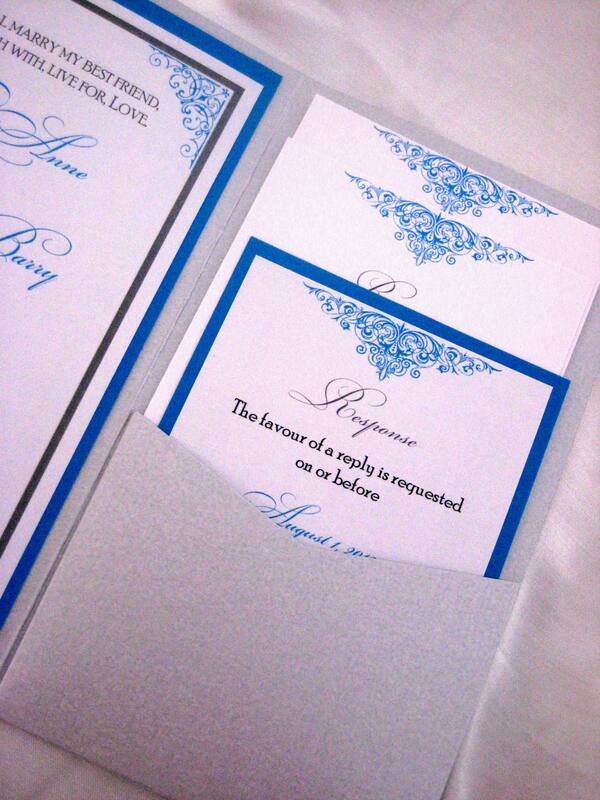 Included but not shown: mailing and reply envelopes with return address pre-printed in white and natural white.